Have you visited the ophthalmologist in a while? Do you remember the letters on the wall you read from a distance? You might not be surprised to learn that this kind of font is available for personal use. Optician Sans is developed on 10 different historical letters which ophthalmologists use to check patients’ vision. This typeface is a product of decades-long work, and finally, it is available for everyone. What Does Optician Sans Look Like? Based on visual principles of the LogMAR Chart, Optician Sans is created as a functional display typeface. The LogMAR Chart consists of 10 letters, so the goal was to create an entire alphabet with special characters and numbers. Optician Sans is formed on the same 5×5 grid as the original letters. The LogMAR Chart contains rows of letters and is used by ophthalmologists, optometrists and vision scientists to estimate visual acuity. This chart was developed at the National Vision Research Institute in Australia in 1976. What is the central quality of Optician Sans? 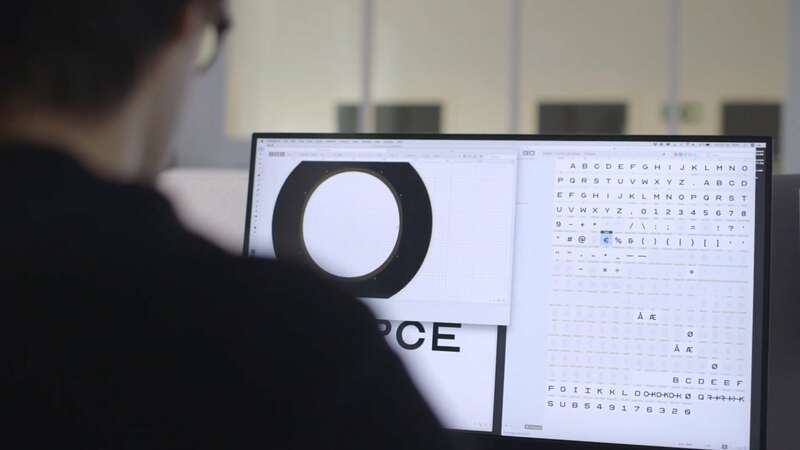 According to optometrist Øyvind Krogh, this typeface will improve legibility due to the specific construction of the letters. He said that this font will help users understand almost any information regardless of visual function. This font is not solely made of Latin characters. There are also alternative glyphs. The fact that this font has roots in the mid-19th century is fascinating. It started with Herman Snellen, who developed his own Snellen chart in 1862. The purpose of that chart was to measure visual acuity. Also, it was based on a 5×5 unit grid, which is the same principle Optician Sans is based on. Almost 100 years later, Louise Sloan designed 10 letters following the same principles Snellen used, although he excluded serifs. These 10 letters are the predecessors of the LogMAR Chart.